Unwind yourself with a gorgeous backwater view in Fragrant Nature, Kochi. 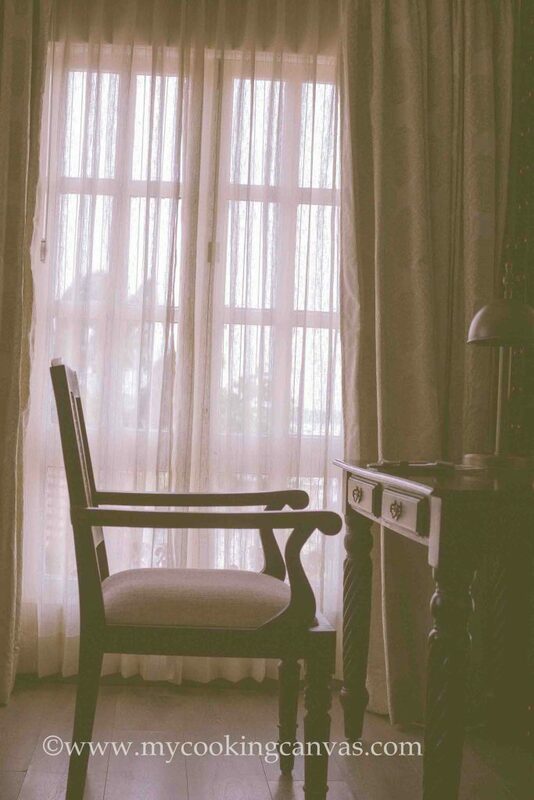 Nestled in the heart of Fort Kochi, this place had everything you could wish for. In addition to the mesmerizingly beautiful surroundings, you would find world-class hospitality and warmth beyond comforts. 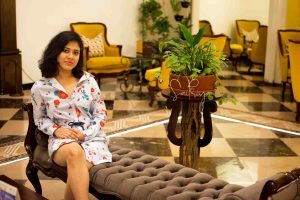 This time I travelled with my sister who is a travel freak. You can check her Instagram feed to witness her gypsyness. Though we expected it to be Monsoon Holidays, the Sun gazed enough to make our days pleasant warm. Fragrant Nature Kochi is one among the most sought 5 Star Boutique hotels in Kerala offering history, art, culture and breathtaking views of the harbour. 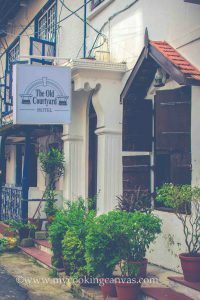 Located in the same locale of the erstwhile office of East India Company, this majestic building with the first clock tower in Fort Kochi is a landmark. The very first greeting by reception lady staff, we felt at home. The architecture and attention to details were truly impressive. There are a lot of things that I can appreciate about this Gorgeous property. But here I am listing six things which you shouldn’t miss out. Our room, which specified as Duke’s Chamber was quite spacious and loaded. 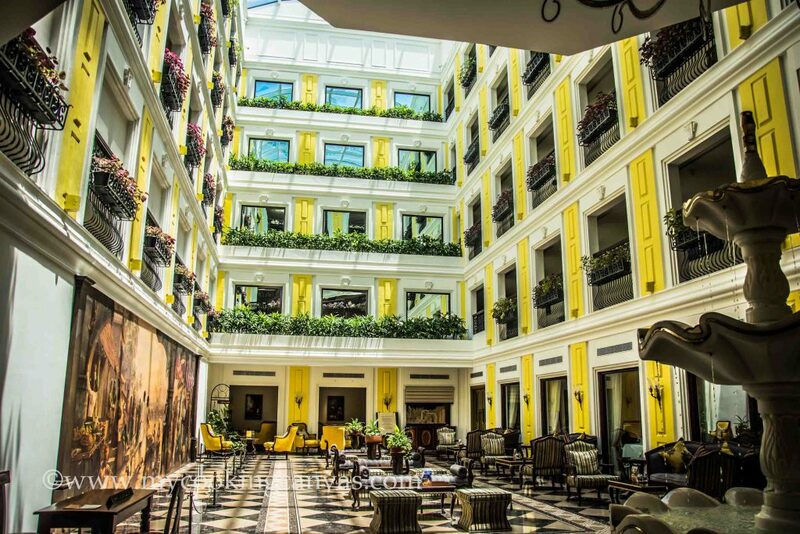 It reflects the artistic blend of colonial style with modern comfort and facilities. Bathrooms are plush with rain showers and hand showers in glass chambers. The cosy corner of the room where you can relax on that rustic finished teak-wood chair. You only need to press the pause button and lose yourself in peeping out through the window. No wonder I was amazed by the view of the harbour outside. I want to mention about the filtered Drinking water in glass bottles, they served in our room. It contains the rain-water that has been purified using microfilters and reverse osmosis. This was an impressive initiative to reduce the impact of plastic on the environment. One step closer to Nature by Fragrant Nature! Watch your stress! Prana Wellness Spa at Fragrant Nature offers carefully designed Ayurveda wellness experiences to restore. It helps to rejuvenate one’s health. They offer uniquely designed spa programs combining various therapies with fitness and well being. It offers excellent treatments by highly experienced therapists in superbly designed therapy rooms. And if you are in God’s own country Kerala, your trip can’t be completed without an ayurvedic spa. They use pure and authentic preparations with Fragrant Nature’s own ‘farm-grown pesticide-free food products. “Aroma Fresh” – their CSR initiative for a healthy community – vouches for commitment to use safe, pure and nutrient balanced food as diet during treatment. 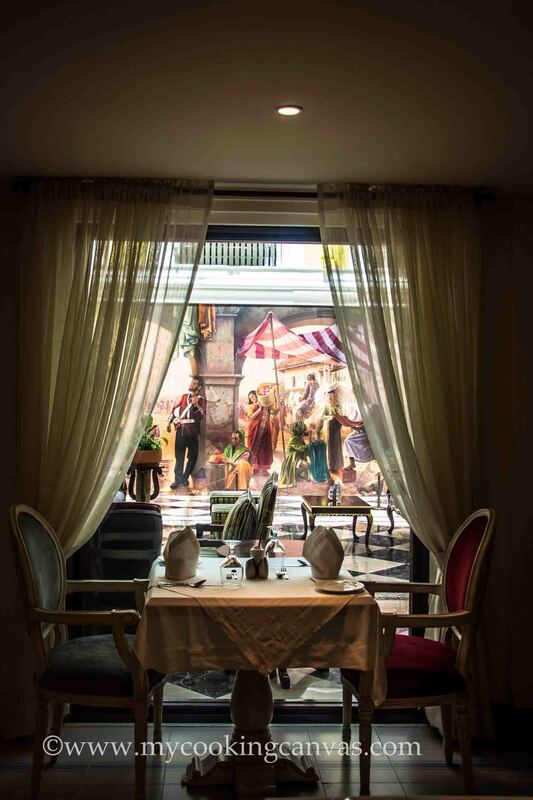 A dining experience conjured with choicest flavours. The gastronomic experience here will delight you with a pretty attractive surrounding. It won’t fail you to charm with its soothing appearance. 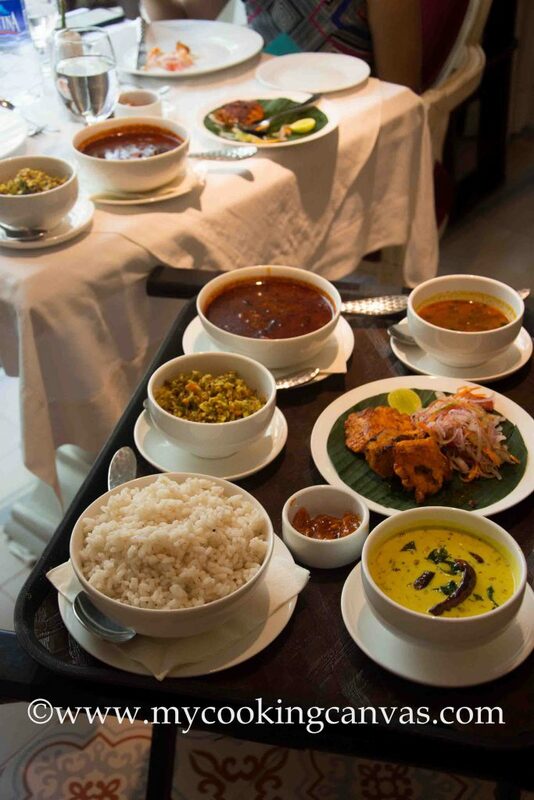 All-day-dining restaurant dishes out Indian & Continental delicacies. There are ample choices for the health conscious and the weight watchers. But who cares healthy meter when you are in Kochi. And I am always a fond of authentic Kerala Food. Whether it is Appam with chicken stew or a full Kerala meal, everything I tasted at Zamorin was so flavorful. On the very first day, I asked the chef to prepare all Kerela dishes for lunch. There was Meen curry which is an authentic preparation with Fish ( meen in Malayalam). Also Moru ,thoran ,fish fry to relish with red rice. A lingering after effect to carry on my taste buds! And we were mused on the sight of the 3D painting from the lunch table. 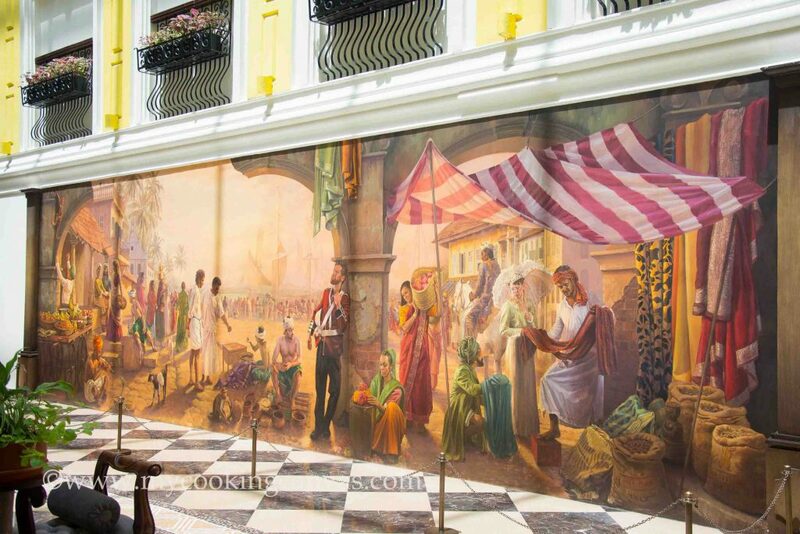 When you step into the hotel through the yellow wooden door, the first thing that caught your sight is the 3D painting. It is on the left side wall in the spacious lobby. I couldn’t take my eyes off. It was so lively. This painting features period Trompe-l’œil artwork by two popular English artists. emphasising the importance of the art element in the boutique design. All faces in the painting taken from real life. One of them was the famous Kashi cafe’s owner. We spent our evening doing some photoshoot in the lobby. A prepossessing sight to capture in my camera. Next, to the Hotel building, there is a vintage Cafe named as ”The East Indian Street Cafe”.It will give you an impression of the old European street with British telephone booth. It’s a 24*7 hr cafe with an unique rustic decor and everything that will make you feel relaxed. It’s one kind cafe in Kochi to give you the vibe you crave and some great stories left to tell. We tried fried chicken waffle which is the best selling there. Loved the way they serve the food. Also tried home-made burgers with a fusion stroke. My Coffee lover sister couldn’t miss the Capaccino prepared with finely roasted beans and much love. There was so much warmth in that place to enjoy in that Monsoon evening. Burgher street which is full of retro cafes, antique shops and eatery joints is just one kilometre from the hotel. You will enjoy a walk through the colourful streets full of art-works(graffiti) on the walls. It’s a paradise for a Photographer. I hardly took a pause in capturing those frames in mobiles and cameras. We enjoyed our evening coffees at Burgher street and a little chit-chat with locals about the history of the place. No wonder this place got a European Heritage. This fishing village was granted to the Portuguese in 1503 by the king of Kochi. This territory of Dutch got ended in 1947 with the Indian independence. Stay tuned to the upcoming post on Fort Kochi. Don’t forget to follow me on Instagram to get all live updates about Travel & Food.